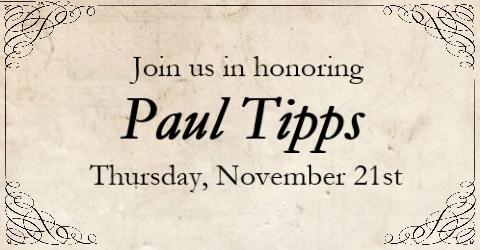 Please join us as we honor former Ohio Democratic Party Chairman & former ProgressOhio Board Member Paul Tipps. $2,500 or $5,000 Sponsorships Available. RSVP by November 18th online, to 614.441.9145 or RSVP@progressohio.org. Checks can be made ProgressOhio Education 172 E State St, 6th Floor Columbus, OH 43215.